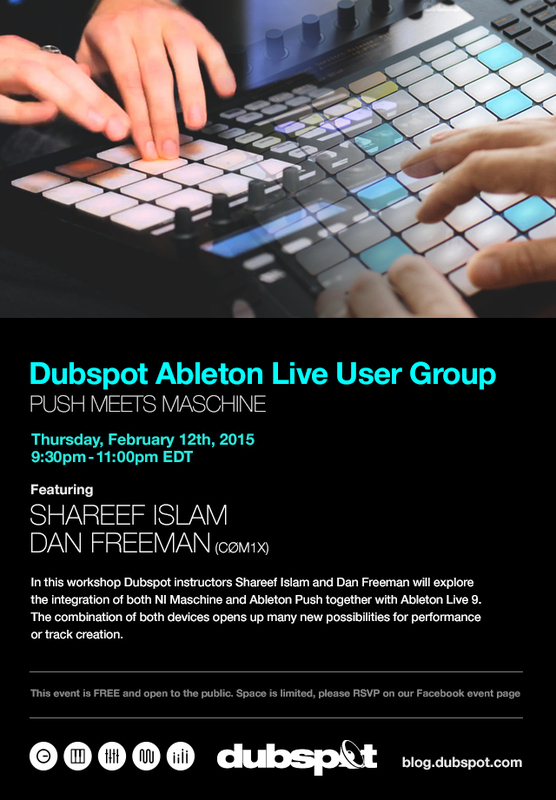 Our Dubspot Ableton User Group continues on Thursday, February 12th in NYC with Dubspot instructors Shareef Islam and host Dan Freeman (CØm1x) with demonstrations on integrating both NI Maschine and Ableton Push together with Ableton Live 9. In this workshop Dubspot instructors Shareef Islam and Dan Freeman will explore the integration of both NI Maschine and Ableton Push together with Ableton Live 9. The combination of both devices opens up many new possibilities for performance or track creation.